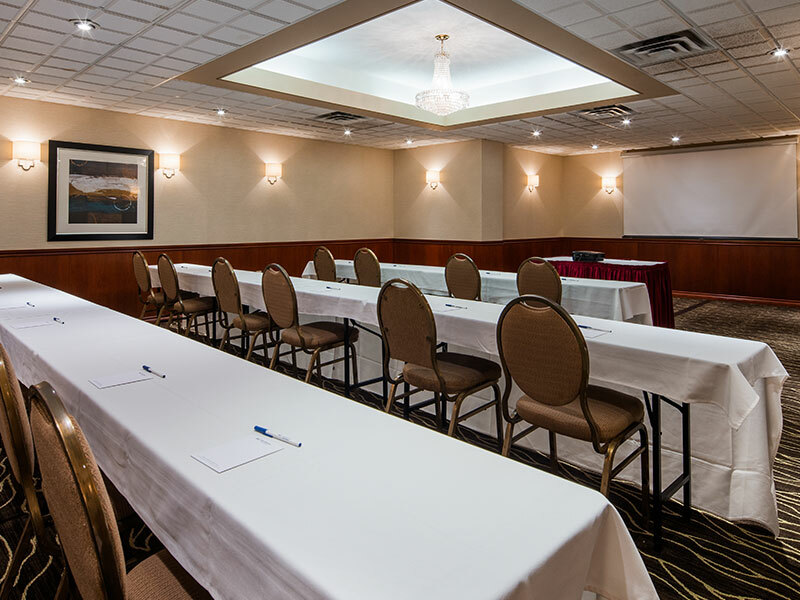 Featuring a hotel business centre and over 10,000 square-feet of event space that can hold 400 plus people, depending on the chosen layout, our corporate hotel is perfect for high-powered meetings, conferences, corporate functions, and social events. Our 10,000 square-foot meeting space is spread across multiple rooms and can accommodate small or large groups, from 10 to 400 plus guests in a variety of layouts, including theatre and classroom styles. Ideal for large conferences, promotional launches, small meetings, break out groups and more - our meeting space meets all business event requirements. 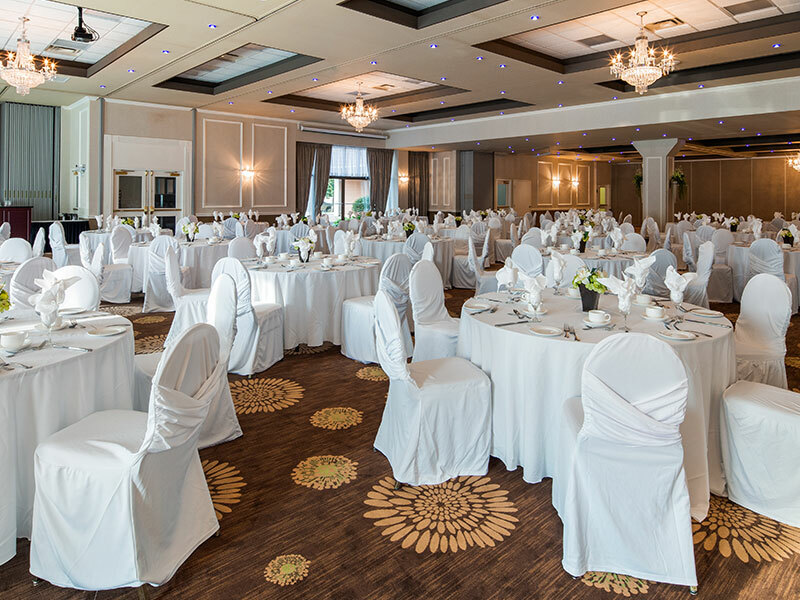 Whether you are looking for an intimate venue or a spacious room that can accommodate a large guest list, Best Western Plus The Arden Park Hotel can accommodate all occasions. Contact us for more details about our event space. Create your dream wedding in one of Stratford's most unique and flexible event spaces. Small or big - our 7, 300 square-foot event space can accommodate anywhere from 10 to 400 plus guests, depending on the chosen layout. We will do our best to make sure your special day is perfect and will attend to every detail so that your dream wedding can become a reality. Visit our wedding page for more information. 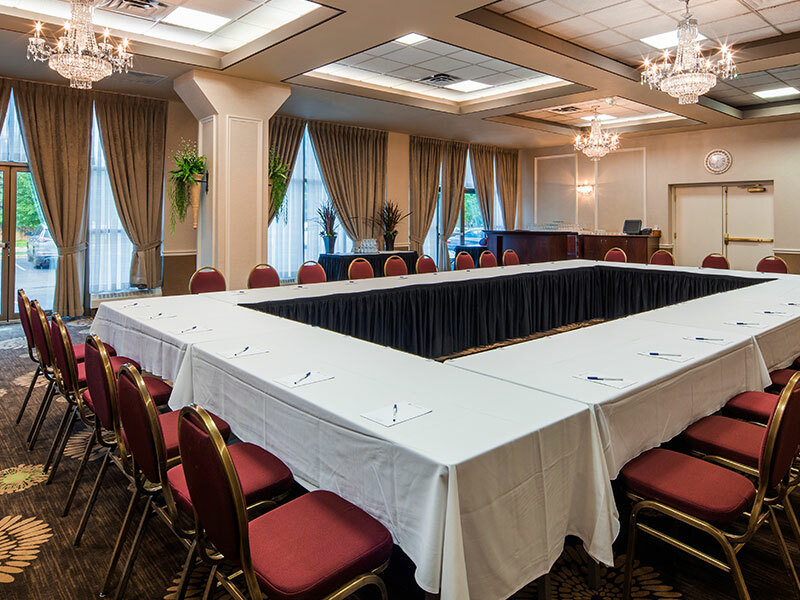 Our hotel has over 10,000 square-feet of meeting space. We have one large meeting room, our Kroehler Room that is a total of 7,300 square feet and can be divided into six different room sizes, allowing setups anywhere from 10 to 400 plus people. We also feature smaller boardrooms and lower level meeting rooms equipped with personal washrooms and lobby areas. 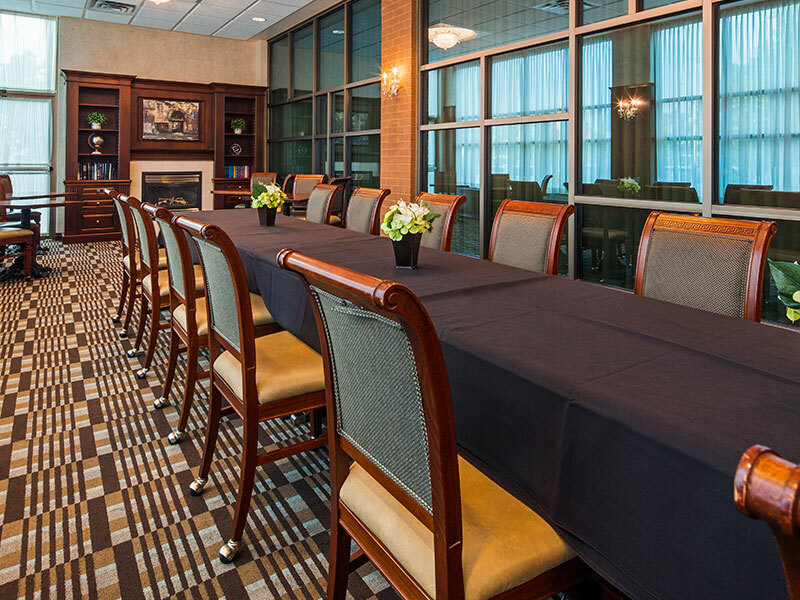 Our hotel has several catering options for meetings, events and corporate functions. We offer breakfast, lunch, dinner, snacks, customized menu options and more. Everything is prepared on the property so food is always fresh and ready to satisfy your group. Whether you are a small group of 10 or a large group of 400, our professional catering team can assist you with your catering needs - every step of the way. Our professional meeting and events team will assist you in organizing your function so that every detail is covered. From catering and audio visual to room setups and microphones - you'll be well taken care of. 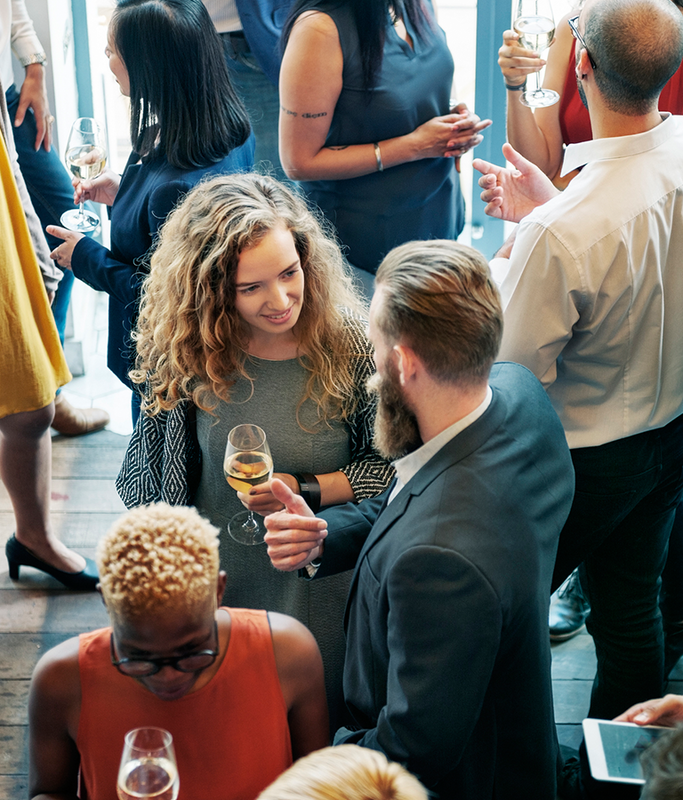 As a provider of Best Western Rewards and the Best Western Loyalty Program, our members receive excellent discounts on corporate functions and groups. Feel free to contact our Director of Sales and Catering, Alexandra Tarnawski, at 519-275-2936 ext. 127 or email at atarnawski@wightman.ca with any questions you may have, as well as your corporate event requirements.